Independent ownership and 60+ years' experience of selling and letting properties in the best parts of London are not the only reasons why Benham and Reeves is known as a well established central London estate agent. Marc von Grundherr, Director, explains why picking up on the finer points of what it means to be 'local' and why it's so important to maintaining client satisfaction. Q: What constitutes "local knowledge"? A:Nowadays you can find pretty much everything you want at the click of a mouse. The internet can bring you a local weather report, tell you where the best schools are, find you a good restaurant but it can't really tell you about local pride and concerns, the cultural diversity, how good mobile phone coverage is… I could go on! With regards to property, because London is comprised of interconnected "villages", pockets of desirability seem to crop up at random. However, a closer look will reveal an underlying reason behind why some streets attract more interest than others. It's our job to uncover these trends and to pass the information on to landlords and prospective tenants. Our Hampstead and Highgate branches will tell you which of their streets have the best Heathside views and which private schools are breaking national A* records in the league tables. In the City and Docklands, we have the inside track on all the latest luxury property developments including the numerous high-rise towers that are dominating the skyline and the on-site facilities they come with. And Kensington and Chelsea remain the jewel in the Capital's architectural crown with glorious Victoriana and charming Georgian townhouses that remain ever popular with the elite and of course, there's culture a plenty. Areas like Ealing, Hammersmith and Kew are charming too – each have old and new property stock and our branches here can tell you the best places for family fun and riverside chill-time. We don’t overlook up-and-coming areas either. Our Nine Elms branch can introduce you to some select property developments that are not only desirable in their own right, but are forming new communities with so much going on. Q: How important is local knowledge? A: Attention to detail in this town is an indispensable aspect of our set-up. London is so much more than a purpose-built metropolis. Schools, retail experiences, leisure pursuits and transport links all have their own particular history and advantages. With this in mind, many of our staff live local to our branches, some have even grown up in the areas where they work. They provide valuable advice on the advantages of living in a particular location and are a useful contact for prospective homeowners and investors or local landlords who own property in a particular corner of London. Things like a flat that backs onto a train track might seem like a great investment but those who have tried it will tell you that the fast train to Birmingham at 5am is not much fun when you are light sleeper. Q: Where are the up and coming areas in London? A: As families seek quality more space combined with value for money, previously overlooked areas are now coming to the fore to the East and West of London. Outlying districts such as Ealing and Kew may not be in the Zone 2 magic circle, but their leafy avenues and convenient transport links make them viable lower-cost renting alternatives. Indeed, our lettings branch at the Dickens Yard property development in Ealing has attracted widespread interest as corporate professionals seek that oh-so-important work/life balance. Also, Beaufort Park in Hendon NW9 is an imaginative property development that has revitalised north-west London and is exclusively serviced by our branch which has been on-site there since 2006. Apart from a Northern line Tube station on the doorstep, not many tenants realise how close to Mill Hill Broadway the development is, providing a fast over-ground train service direct to London's St Pancras station in just 15 minutes. Being local here has been critical to the constant rental of properties at the development and we always have a waiting list for well maintained and furnished rental apartments. Q: Are new-builds still a good property investment? A: For investors who want high-spec finish, good amenities and location, apartments in modern property developments are just the ticket. Landlords find them an attractive option because security is generally very good and maintenance overheads are lower than with an older conversion or a flat in a typical old mansion block. Imperial Wharf is a great example that typifies City living today. It’s an outstanding riverside development and with neighbouring scheme, Chelsea Creek, both are good examples that new build apartments can be as upmarket as possible. Our on-site office at Imperial Wharf deals with many overseas investors who have purchased a buy-to-let property here because we are on the spot. These landlords know that we will bring them the best possible returns. 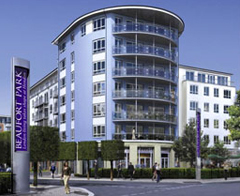 Premiership footballers, actors and company directors are regular types of tenants at Imperial Wharf. 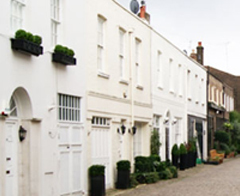 In Knightsbridge, around 70% of our rental stock is buy-to-let ownership and the quality of accommodation is high, most are conversion apartments hewn from charming Georgian and Victorian residences. Tenants here are generally paying higher rents due to the prime location and our Knightsbridge branch staff are on hand to provide a personalised local service. Q: Can you help with the legal requirements? A: Tenancy agreements, references and safety regulations can all add up to be quite a daunting ball of legal string but we have the specialist knowledge needed to unravel all of it. Professional property management is our forte and fully designed to be another load off a landlords mind. Most companies insist on professional property management is in place before they will consider renting a property for one of their members of staff. We are founder members of ARLA Propertymark (the Association of Residential Letting Agents), as well as the members of Property Ombudsman and The Dispute Service and clients often seek out a member of these bodies when they're looking for an agent to let and manage their property in London. All our staff are well versed in this field and attend regular training to keep up to date with legislation affecting the rental property sector. Q: Do you deal with relocation companies? A: Yes we do. The fact that the relocation companies who work with us represent some of the most prestigious multi-national corporations on the planet is, for us, a source of immense pride. Their requirements and expectations are high but so are our standards. We relish the challenge that comes with helping to find homes for discerning high-flyers! As lettings in London is one of our specialisms and we’ve been established for six decades, most relocation companies come to us first when doing a property search and they know that even if we don't have exactly what they are looking for, then we have access to local property through other property partners we work with. This enables us to work quickly while matching the right people to the right property. Q: Why do you have international offices? A: Our international offices in China, Hong Kong, India, Malaysia and Singapore are strategic points of contact for the myriad of international investors that are based there. Longevity, reliability and experience are much valued in these parts of the world and our clients find our presence there reassuring, as they get to conduct business in their own time zone and language. Our offices in these locations work closely with our London offices and our property management department to provide a seamless service to our overseas landlords. Q: You sell property so how can I be sure your rental advice is impartial? A: It’s our view that when it comes to buying a property to rent out in London, those looking to invest should not be made to feel as if the rental part of the transaction is a side project. It's important when a client wants an informed opinion on rental yields in a specific location, that we have the most up to date market intelligence. Our success hinges on renting your property out as quickly as possible at the best rental so we only give realistic, accurate valuations that we know are achievable. If we don’t let you property, we don’t earn our fee. This broad -based approach has served us well and continues to reinforce our reputation for being fair-minded and unbiased. Again, this is where having local presence really counts. To find your nearest Benham and Reeves branch visit our contact page.